to continue the project led under the new name. Here’s the Archive of the Social Circus Yangon project. The Dry Season project 2016-17 ended on March 19th 2017 after some 4 months engagement with 100-120 young people over 55 workshops and several wider workshops – at Big Britain Day Out, Francophile, 8 workshops for the Mingalabar Festival – and workshops with Indonesian International School, Yangon Cubs & Scouts, Thabay College – and our Day of Fun. Thank to our Crowdfunders and Myanmar supporters, sponsors. International Social Circus Day 1st April. 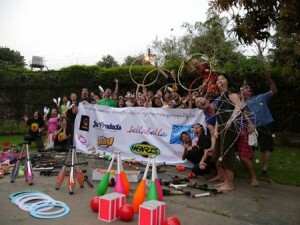 The team in Yangon joined a wave of events around the world to mark International Social Circus Day with a free public workshop in Mahabandoola Gardens. See our latest post for photos and more about this global celebration of the joy and transformation of social circus. Social Circus Myanmar’s 3rd annual Day of Fun took place on 18 February 2017 in Yangon. Social circus teams from across the city came together for workshops, play and presentations in the garden of the British Ambassador’s Residence Garden. Huge thanks to the British Ambassador and Embassy and Sponsors providing drinks, food and transport for the social circus groups. We need a wide network of friends, supporters and new contacts in order to achieve our goals. We are seeking sponsors, donations and funding in Myanmar and internationally. 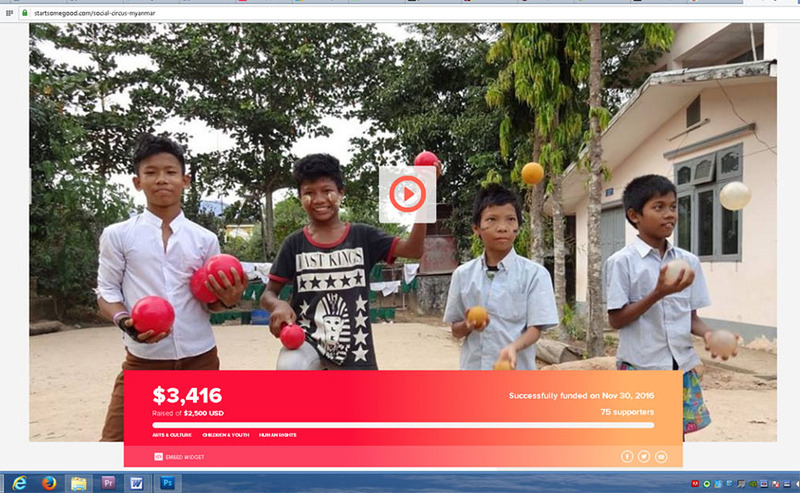 Our Crowdfunding Campaign received awesome support from people around the world. It’s finished now but you can still make a donation here. Visit and like us on facebook and send us ideas and comments. Share the news and share in helping something wonderful to happen. 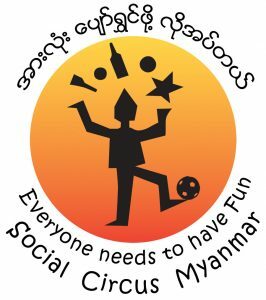 Find out about our plans on the Social Circus Myanmar page. What Is Social Circus? – find out more information here. Join our Mailing List so we can keep you updated. 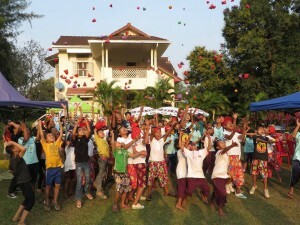 On the historical Children’s Day of Myanmar we brought together all our groups of young people together for a Day of Fun – meeting each other, sharing skills and making friends. The British Council Myanmar supported the event and we had sponsorship of a delicious lunch provided by City Mart. We hosted 76 kids and young adults, plus their parents, teachers and guests, for a celebration of what they are learning and developing in their separate groups. It was a joy to bring the groups together for this day of Fun and Play, not only showing everyone what they have achieved so far, but also building momentum for an ongoing social circus project in Myanmar. who gave us equipment in 2014-15. The props are still being used! Thanks to everyone who supported our crowdfunding campaigns StartSomeGood 2015-2016 and StartSomeGood 2016-2017. You not only encourage the team in Yangon, you make it happen! Our Values are Diversity, Inclusion, Accessibility, Gender Equality, Sharing, Learning through Play and Fun and Creativity. 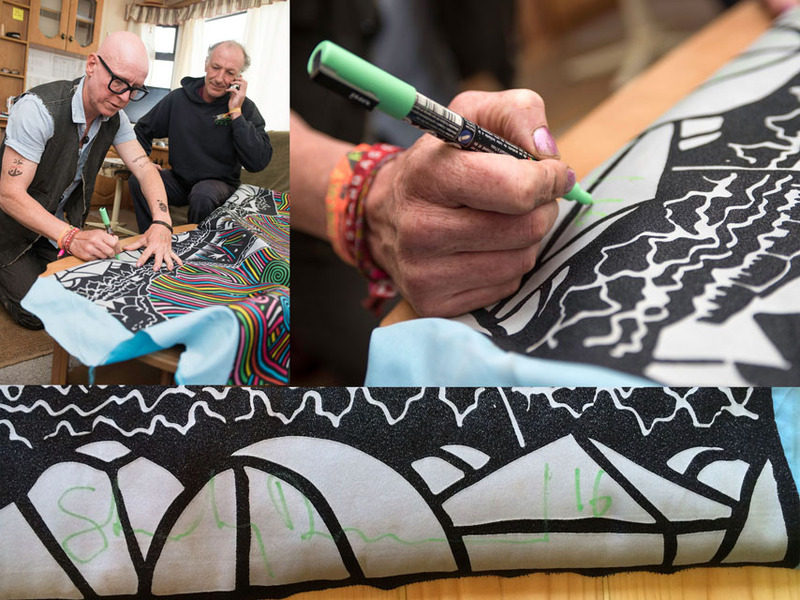 The goal of this project is to build a framework for a locally-led social circus network in Myanmar which nurtures and empowers disadvantaged children and young adults, and people living with disabilities. This project builds on the success of weekly circus skills workshops delivered by Serious Fun Committee volunteers in Yangon over several months during the dry seasons of 2014-15 and 2015-16. More than 250 young people have been trained in regular workshops delivered so far. The workshops and performances have also created substantial interest in social circus activities amongst civil society groups in Myanmar. 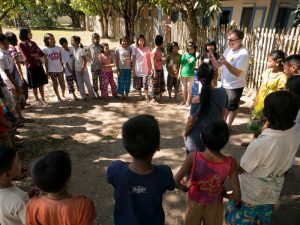 Develop a 5 year plan with Myanmar partners to establish a social circus network and training centre. Visiting Circus Skills specialist and Project Manager Jules Howarth returns to Yangon to resume regular workshops with our youth teams and to work with our Yangon coordinator Virginia Henderson, community partners and key supporters to develop a 5 year strategy for the Social Circus Myanmar project. Jules has led the youth workshops in Yangon over the dry season period since 2014, using an international curriculum and best practice to track progress. 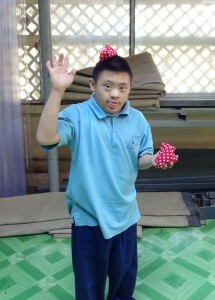 He’ll join with Yangon-based performers Julien Ariza and Tout Tout Kyaw who are providing regular training for more social circus activities, including Circus4All, a mixed (abled and disabled) troupe which evolved out of a Serious Fun training of trainers for people working with disabled children in 2015. Resume regular outreach workshops and training for approx. 80 young people for a 14 week programme. 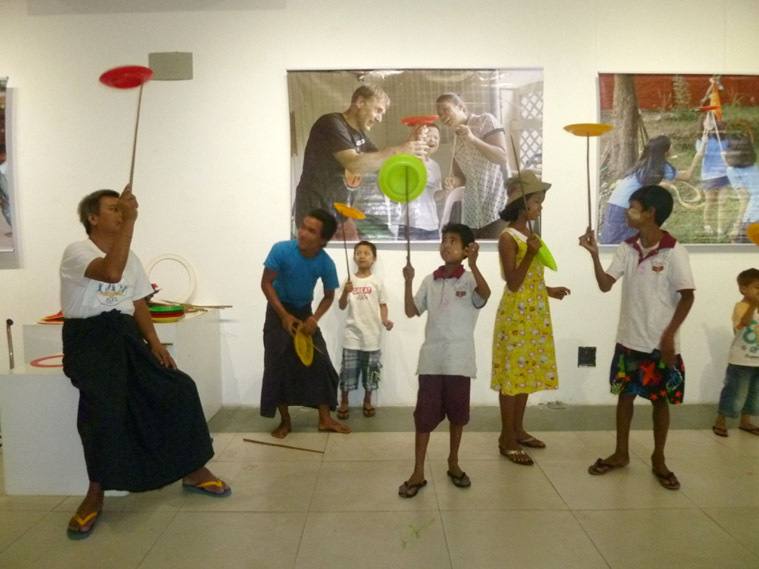 Begin formal training for 2-4 Myanmar young adults as Circus Workshop Tutors. Provide extra circus skills and circus safety training for them to accelerate their development. Produce hula hoops, juggling balls, flower sticks, stilts locally. Bring in more international props to Myanmar. Continue to translate circus training material and distribute. Make DVDs of modern circus acts to inspire the young people. 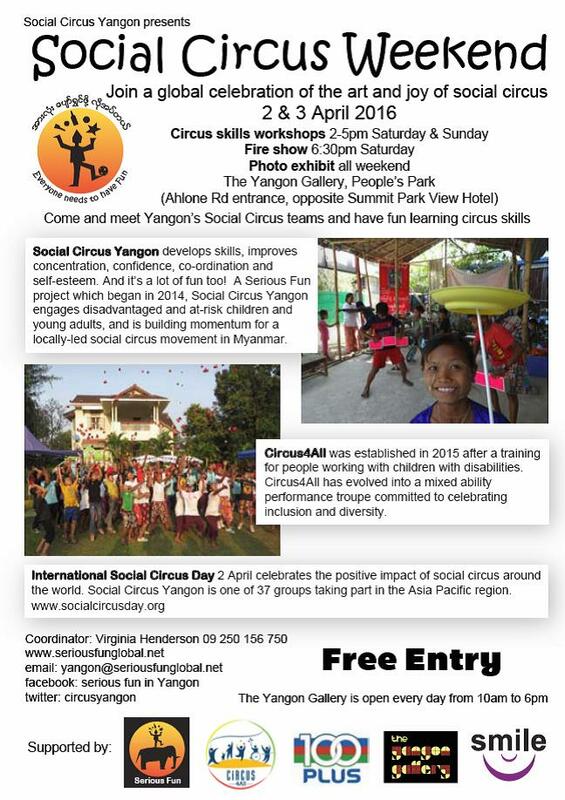 Make a flyer/small booklet that explain in Myanmar languages what Social Circus is all about and distribute. Pilot international circus artist volunteers delivering specialist training. Produce a Day of Fun to bring all participants and friends and supporters together to showcase what we are doing and to promote the project. Create a 20 minute show with 2 participants from each of the regular workshop teams and Circus4All. This Show can be used to promote the project. 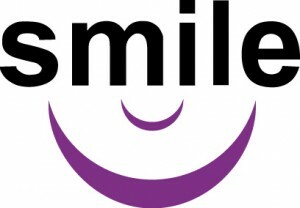 The performers deliver fundraising workshops, displays and stage shows. Research options for a Myanmar-based legal identity – a not-for-profit local organisation. 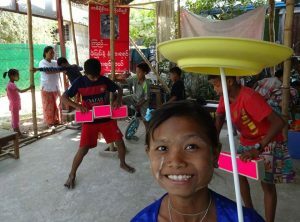 2-4 Myanmar circus workshop tutors trained so they can continue working with young people year round. 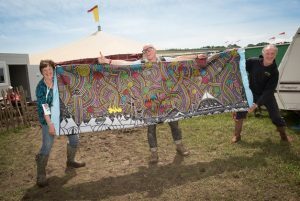 To have explained Social Circus and its benefits more clearly to a wider audience so that the long-term project can gain traction and get more people involved. By the end of this 4-month programme we hope to have handed over delivery of the workshops and the project management to Myanmar people so that they can continue to deliver it to young Myanmar people. Or, at least we will have begun this process so that it comes to pass as resources and people become available. We are building a framework but in the end, Social Circus in Myanmar is something that must be owned and run locally in Myanmar. To achieve these goals we are seeking sponsors, donations and funding. Contact us here if you want to help.